LA Times Festival of Books Signing Saturday! 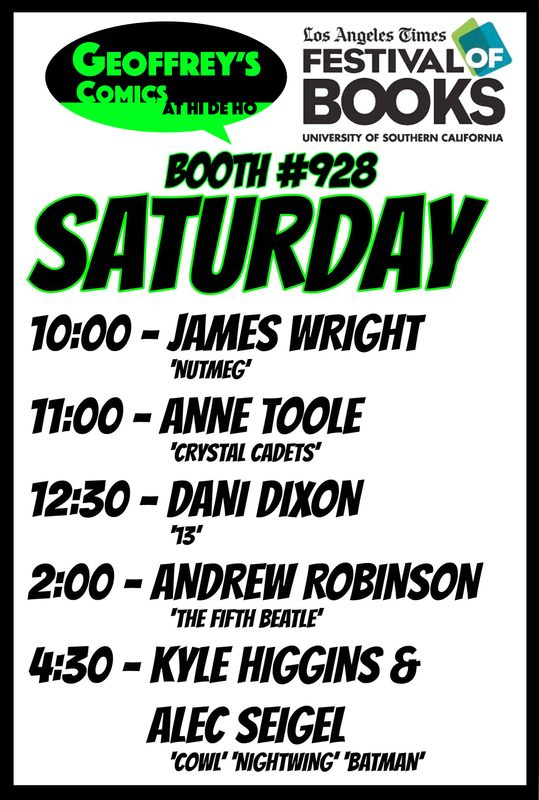 Join other comics creators and me at the annual LA Times Festival of Books this Saturday at USC! Come down, enjoy the books, and get your comics on while you’re at it! I’ll be signing Crystal Cadets stickers and issues of Grimm Fairy Tales Holiday Edition at 11am at the Geoffrey Comics at Hi De Ho booth, #928. Be sure to stay for the other awesome indie creators, including my pal Dani Dixon, who’ll be signing her comic 13 right after me! Will there be preview copies? If you’re feeling adventurous, come join me at 2pm on Saturday and find out.